Once again, Hong Kong exceeded our expectations during our weeklong Christmas vacation. 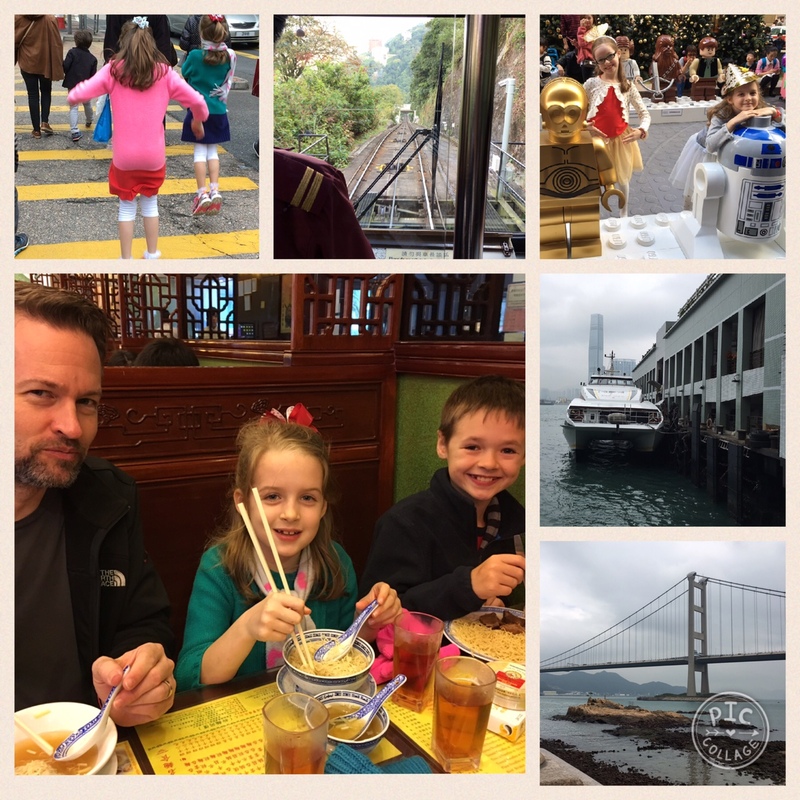 Last year, I found that we didn’t make it to much of what I had planned due to getting side-tracked in other sight seeing as there are so many activities to do in Hong Kong with kids. Rarely do I stray from the itineraries I put together for vacations, let alone plan vacations without an itinerary, but Hong Kong has a way of calling us into different directions than planned. Perhaps this might be a place we move to in the future? We previously stayed on the Kowloon side of Hong Kong, this time, we stayed on both Ma Wan Island and Hong Kong Island in an area called Wan Chai. 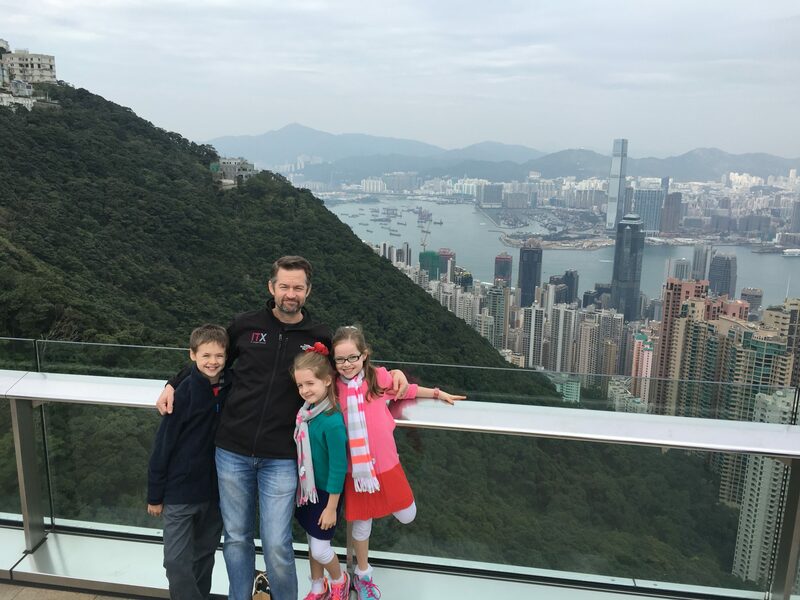 My family and I absolutely love Hong Kong, no doubt about it. We thought we’d head somewhere new this year for Christmas, after already spending an amazing time here last year, but Hong Kong called us back. Below, you’ll find what I’ve felt worth of adding to my favorite things to do in Hong Kong article from last year. 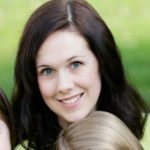 I know, there’s so much to do there, that it’s almost overwhelming, but I hope my suggestions at least get you started in your planning. 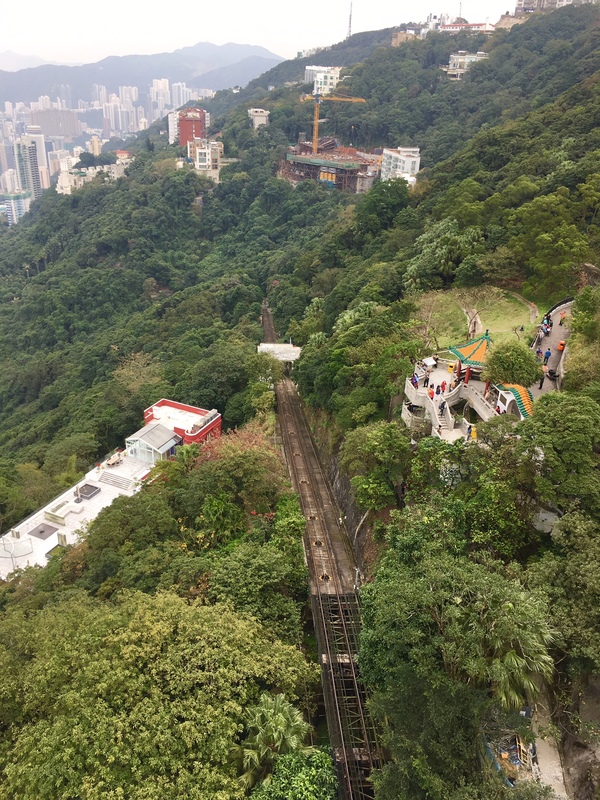 One quick note, this is not a stroller friendly city, so unless you’re packing your little ones in a carrier or they’re able to walk, you might want to rethink your itinerary to stay in Discovery Bay and enjoy Lantau Island instead. I wasn’t sure staying on this tiny little island would add much to our trip. My intention was to be close to Disneyland for the days we’d be going, without staying at the Disneyland Hotel. This little island highly surprised me, for the better. Not only are taxis not allowed on the island (which made it a little tricky at times, but we worked it out between buses, subways and the ferry), it’s completely walkable and beautiful! We stayed at an amazing Airbnb in a community called Park Island, right next to the Park Island Pier. We had conveniences of an expat grocery store, a Pacific Coffee shop and many eateries within walking distance. I’d highly recommend this retreat from the city. Noah’s Ark and Solar Tower is found on Ma Wan Island. We saw this life size ark structure during our last visit, on a drive between the airport and Kowloon, but didn’t give it much though. During our stay on Ma Wan, we ventured out for a lovely walk one day and stumbled across the attraction once more. With very few crowds due to the inclement weather, we figured it was as good a time as any to visit. Besides being awestruck by the size of the ark, the children loved the animal replicas. Each floor of the ark has activities for kids featuring things like the story of the ark and recent discoveries, hands on fun science activities as well as some personal development and awareness fun. On site is also a ropes course, dependent upon weather, but we didn’t get to do this. Across the street from the entrance you’ll find perhaps the best feature included in your admission ticket…the park! It’s a gorgeous, lush tropical park, filled with trails, fun activities along the way, and the Solar Tower which houses one of the largest vacuum solar telescopes in South East Asia. While not a ton to do in the Solar Tower, between the Ark, the park and the Tower, the admission price was certainly worth the four hours we stayed. Ferry rides, for some reason, really excite the kids. While we thought about hiring a taxi to take us from Ma Wan to Hong Kong Island, we decided the ferry was the best route with the least hassle. Thankfully, our Airbnb was right at the pier, and the ferry leaves regularly. In 22 minutes, we were at the Central pier. My advice, leave enough time for lunch at the Ma Wan pier, and enjoy a meal at a little local eatery called Mo-Ikken Café. Delicious! You can’t really write an article about more activities to do in Hong Kong with kids and not come back to Disneyland. We had planned on taking two days again, but this time, one day did us just fine. We went on a Monday and were pleasantly surprised to find all rides nearly walk-on or at the most, a 20-minute wait. However, please note, we no longer spend much time in Fantasyland, as our kids are older. The lines in Fantasyland typically go up to 45 minutes. Overall, our time in the other lands made for a truly enjoyable day and allowed multiple turns on rides. For more detailed information on visiting Hong Kong Disneyland, see my previous post. 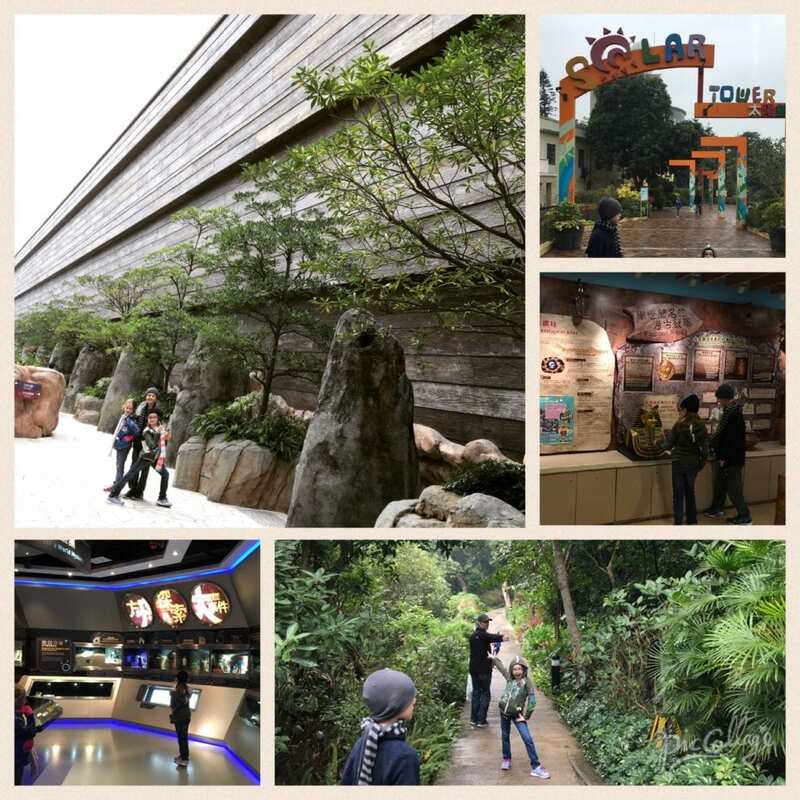 The only thing we did on Hong Kong Island during our previous trip was visit Ocean Park. When we came home, people were shocked we passed up the tram to the Peak. First word of advice, go on a weekday and go EARLY. We were so thankful for only waiting 10 minutes in the ticket line, as when we returned down from the peak, the line was zigzagging and spilled across the street into another zigzag…easily a 45 minute or more wait! Couldn’t believe it. While you’re waiting in line, you can view a small historical gallery of information, including photos and antiques. We paid for the additional Sky Terrace 428 access, giving 360-degree views of Hong Kong, which really was beautiful. The only shame about it all is I had no idea what it was like on top of the peak. It’s so commercialized, as you arrive into a mall with all the shops and Western names you’d want. I would avoid the commercialized restaurants up there, and instead, look for the local restaurant called Mak’s Noodle. It was affordable and delicious! During both stays in Hong Kong, no matter which location we were, we absolutely loved walking around. That’s how you get sidetracked and find super cool things to see and do that aren’t on the itineraries. Even with kids in tow, there are enough stops along the way to keep them entertained. Many of the shops produce enough entertainment in the items they sell alone! We’ve stumbled across Christmas festivals in December, cool art displays and concerts, kitschy little shops and wonderful eateries. Not to mention, there’s always plenty to do within walking distance of where you stay. Wan Chai was a fantastic location as we walked to Times Square as well as to Pacific Place Mall, stopping along the way. This is perhaps one of my favorite activities to do in Hong Kong. One thing we noticed, and loved, about the malls, is that there always seems to be some display or interactive adventure happening. Hong Kong loves the latest and greatest fads and entertainment. When we visited this past December, we were lucky enough to catch a huge Star Wars Lego display at Times Square…truly spectacular. In the Landmark Mall, we stumbled across a breathtaking Christmas bear display on behalf of Make-A-Wish. From art exhibits to kids crafting fairs, malls are so expansive that they pretty much offer everything. You simply can’t eat enough in this amazing city! I love trying the restaurants recommended by our Airbnb hosts as they either live there as expats and are familiar, or they are locals renting out additional properties. Either way, you get the best of the best, and usually the holes in the wall that are affordable yet to die for. We love finding the not so obvious places down small streets. Don’t be afraid. Look for a crowd and it’s usually a success. Can’t read the menu? There are so many apps these days for scan and translate purposes, that your excuses are nil. If you want a great view with fantastic food and a nice afternoon or evening out head to Wooloomooloo in Wan Chai. We found a gem on this trip! We love booking later flights after vacation because a) it gives us time to wake up properly, eat, and pack, and b) we want one last outing in the place we’re visiting. But, what do you do with your luggage when you have a 12 o’clock checkout and your flight leaves at 5 p.m.? In Hong Kong, simply take your luggage to the In-Town Check-in location on the ground floor of the Hong Kong MTR station (below IFC Mall). Available 90 minutes to 24 hours before flights (check what your airline allows), this is an amazing deal. Also, purchase your Airport Express train ticket, and when you’re ready, you’re on your way without hassle! The kids thought this was a hoot! There you have it. Hong Kong simply can’t be done in a week, nor two! We’ll probably be back again as we still need to see Big Buddha (quite a trek to get there), Stanley Market and so much more. 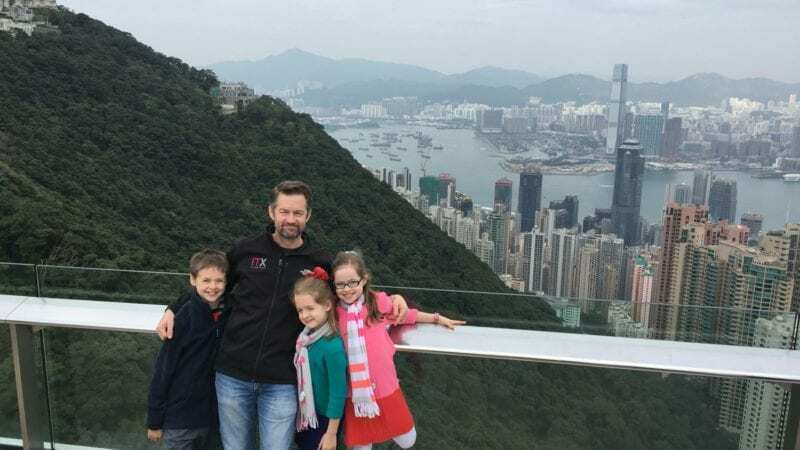 I hope you find many more activities to do in Hong Kong with kids beyond the ones we’ve found.